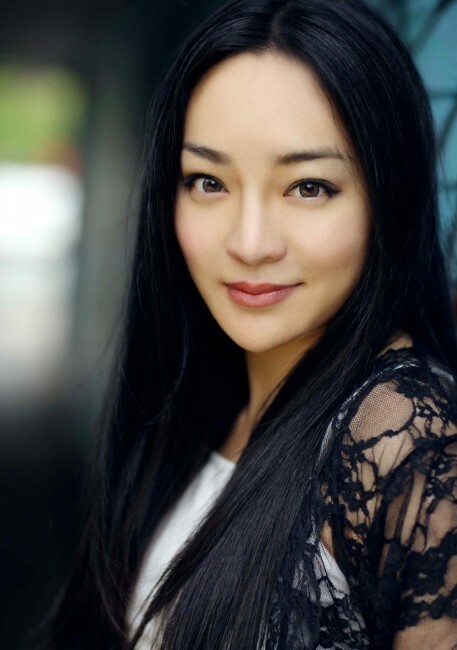 We caught up with rising Chinese star KunJue Li as she discusses hit TV shows in the UK, starting out in China and moving to Hollywood to further her career. Culture Trip (CT): Some people may recognise you from the hit BBC show Peaky Blinders during season one – how did you first get involved with the show? For Peaky Blinders, I auditioned for the role of ‘Chin’. It was one of my first few auditions straight out of drama school. I remember I prepared her as the sassy woman because of what her profession is. I wore knee high boots, bright red lipstick, but when I walked into the audition room, the casting director said they were thinking she was more of a sweet good-natured girl. So I quickly wiped off my lipstick and changed my entire performance right there and then. I guess I did a good job, as I landed the part and had an amazing experience playing Chin. CT: Did you think the show would become the success it has become? I really liked the script. The quality of the show is exceptional, so I’m not surprised it is such a success. However, many people didn’t know about the show, even when we had finished filming the first season. What’s kind of funny is, I remember when I went in for the audition, it was in a church of all places. I couldn’t find the casting entrance, so I went to the front gate and said I was there to audition for ‘Peaky Blinders.’, The security guy asked me twice to say the name again. He said to me – “Peaky what? What does Peaky Blinders mean?” – I had to explain to him about why the gang was called Peaky Blinders, and that it was a new show. He just laughed and said, that it wasn’t that scary a scary name for a gang. Thankfully I made the audition on time. CT: You have also been involved in another hit UK show, Ripper Street. What is it about current British drama that you think people really connect with? I love British drama shows. I think they stand out for their high-quality content, supreme acting and amazing storylines. British drama shows traditionally offer a good script with gritty characters. I think people connect to that, people connect to real characters and their own experiences or journey. The British definitely know how to entertainment with drama shows – I think they do period drama the best. CT: Was it always your dream to be an actress? What were the things that inspired you to follow that path? Nothing else mattered to me. It was always my dream to be an actress, since I was five years old living in the Tibetan mountains. I remember my parents bought us our first black and white TV. We were the only household in our village at that time that had one. I used to just sit in front of that TV every day after kindergarten until my parents got home. I was always fascinated about the “tiny people” inside the TV and their world. I always wanted to “visit” their world. As I grew older and realised they weren’t “tiny people who live in the box”, the fascination of wanting to put myself into that different world never went away. In general I am curious about human behaviour and I always try to put myself, or imagine myself, in other people’s shoes. When I discovered there was a profession for just that, I set my mind on perusing it. Actors transform all the time into didn’t characters and I wanted to do that too. Of course, my journey into acting was not a smooth one, especially living in China. My family was totally against my career choice of becoming an actress, as in China, it is not a highly regarded profession. During my late teens, I went to London to continue my education. CT: How did the experience of working on a television show differ from film? I feel the two are quite different in reality. Working on a television show is slightly faster than film. The turnover and the scenes you must shoot per day is much more than with film. It seems the shot list is less in films, but then again, I haven’t worked on huge big budget films to tell the difference fully yet. CT: You have recently featured in the loose remake of My Best Friend’s Wedding – what drew you to the film and had you seen the original before starting? This opportunity came about in a funny sort of way, as I was actually pulled onto set as a favor for my friend who worked with the assistant director. As luck, would have it, I was the same height and shape as the leading actress, and they needed a stand in. During my ‘stand in’ time, I chatted quite a bit to the director, Feihong Chen, because I loved his work. He was still missing a few characters for the film, and so he cast me as Coco! CT: How have you been enjoying the culture change moving the UK to LA? Wow – well the two are really different. Los Angeles sparkles because there is definitely more work here for actors. The film industry is very strong here, and everyone living here is connected in some way to the entertainment business, which is exciting, but I do miss the theatres in London, and the traditional British pubs. CT: How do those cultures differ to those you have been used to in China? How did you enjoy growing up and working there? The Chinese culture is similar to that of the British culture. Politeness and humility rank very high in both cultures. I guess because China is my home town, I am very used to the Chinese culture, where we put family first. I find that is different than the Western culture, where individuality is more valued. I think growing up in China gave me good solid family values and kept me down to earth, which continues to stay with me, wherever I go or live today. CT: You’ve travelled all over the world, what are some of your favourite places to visit away from home? Yes, I’ve been very fortunate. I really like Venice in Italy, as it is such a romantic city. I would love to go there with a special someone when I have the chance. Tibet though, is still my favorite city, it’s my hometown and I adore it. We have such a strong sense of community there, which I truly miss. CT: You have started your own company, Equilibrium Promotions, to help create opportunities for women of minority backgrounds – how important is it for you to help promote such artists and individuals? Equality is something I truly believe in, and value highly. I believe everyone is born equal, and should deserve the same opportunities and rights. I feel there is a difference in gender equality in the film industry. There are not enough roles for women, or female artists are not valued as much as the male artists. I started Equilibrium Promotions with two good female friends who are also artists in this industry. It is a mission to go back to basics and create more opportunities for female writers, hence more work for female actors. CT: You got to work with John Cusack and Ken Watanabe (amongst others) on Shanghai in 2010 – are there any filmmakers or actors in LA that you would love to work with? Oh yes, plenty. I would most like to work with Woody Allen. I grew up watching almost all of his films. I would love to work on one of his romantic comedy films with him. I am also such a geek, so to work on any of the Marvel or DC Comics movies would be great – they are featured heavily on my bucket list of films. CT: Do you get to the cinema much? If so, what have you seen recently that you have enjoyed? I love going to the movies. There are so many films on at all times here in LA – not just what’s on internationally, but local indie movies, cult movies and old black and white films too. That said, I just watched Arrival with Jeremy Renner and Amy Adams. It is such a great film. I am a real Sci-Fi and science geek, so I understood the theories behind the story. Plus, I love Amy Adams as an actress. I think she is very talented as well as a great down-to-earth woman. I have watched almost all of her films, and I love her way of interpreting a character, I learn so much just from watching her work. She is incredible.